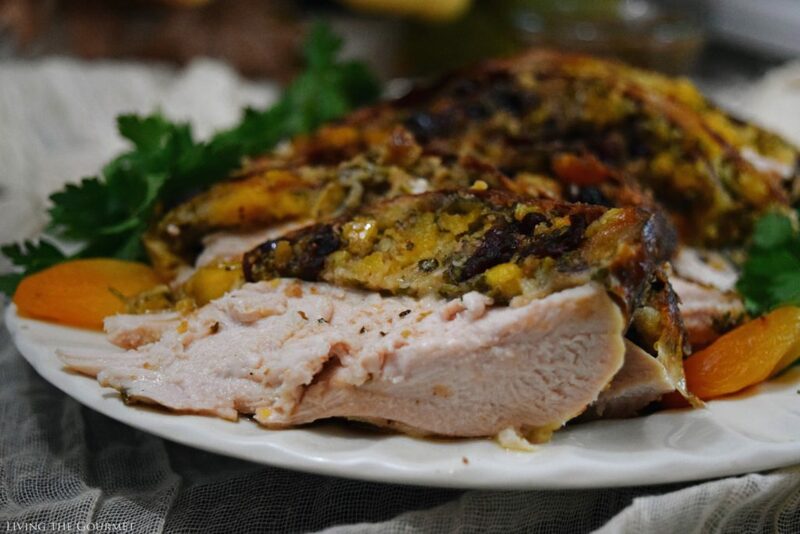 Make Thanksgiving a little easier this year with this holiday stuffed turkey breast! Don’t forget to enter our holiday giveaway below to win a blue Rachel Ray cookware set this season! Almost by its very nature, the holiday season simply insists that we the focus on the ‘big things.’ The ‘big days,’ the intentional memory-making, the long lists of guests and the pressure to ‘impress’ them, and of course the attempts to uphold family tradition while at the same time trying leave one’s own mark. There are shopping lists to be filled, menus to be planned, and a seemingly endless array of ‘busy work’ to be done all in preparation for these ‘big’ holidays. 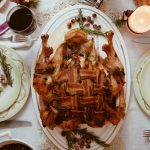 With Thanksgiving nearly here, the focus of course is ‘fussing’ about turkey, plotting out ways to best prepare it, and how to plan the rest of evening’s menu around the stuffed fowl. Despite this, there’s precious little ‘eating’ of turkey throughout the season or in all of this lead up. One meal does not make a season, after all. But, of course, few of us ever consider this tiny bit of irony, and it’s hardly any wonder why. With this year’s bout of intentional memory-making crowding both our minds and our schedules, focusing one’s attention on the smaller and perhaps more pleasant details seems almost anathema to the increasingly hectic spirit of the season. Yet, it is the ‘moments for self’ and the ‘little things’ that truly accentuate not just the season, not merely our memory-making, intentional or otherwise, but which highlights our very humanity. Think for a moment how often a stray turn of phrase, an aroma, or the lyric from a song, otherwise seemingly innocuous details, provide the spark for a memory. 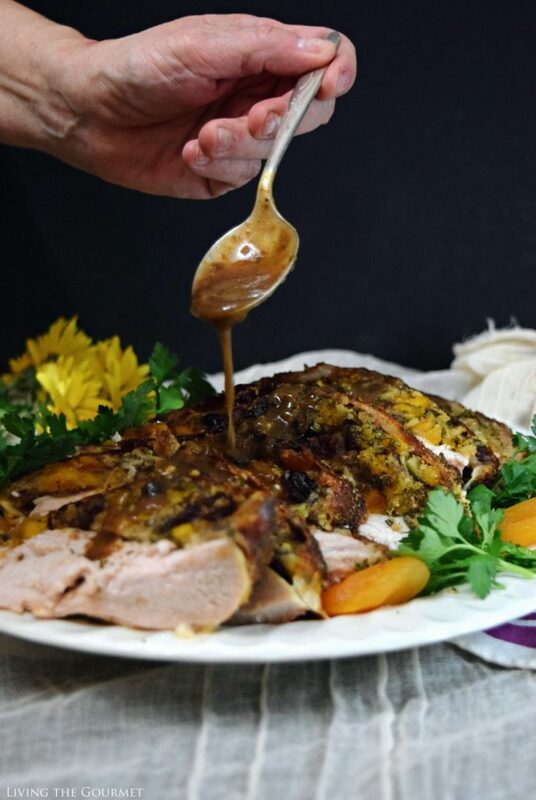 For this reason, I like to pepper the lead up to Thanksgiving with a few turkey dinners for myself and my kids, both for the memories, and for the much loved seasonal flavors. To start, we rub down the turkey breast with the herb and spice mixture outlined below, and message that into the turkey, being careful not to ‘displace’ or ‘detach’ the skin. After that, we prepare the stuffing using a base of chopped dried apricots and chopped dried cherries, which we enhance with fresh lemon juice, honey, and garlic. After combining that with the rest of the ingredients outlined below, we stuff this generously under the skin as described below. Gently message the turkey breast with the rub. Gently lift the skin of the turkey breast and gently push the stuffing mixture under the skin. Place the prepared turkey breast in a baking dish. Bake for 1 ¼ hours or until the meat thermometer reads 175 – 180 degrees F.
Let the turkey rest for 12 – 15 minutes before carving. Next, I like to put together a quick from-scratch gravy, and usually pair the turkey breast either with roast potato wedges or baked sweat potatoes. Of course, you can do all of this in style, from start to finish, with a premier Rachel Ray cookware set by entering this giveaway. What are some of the ways you keep yourself focused on what’s important this holiday season? 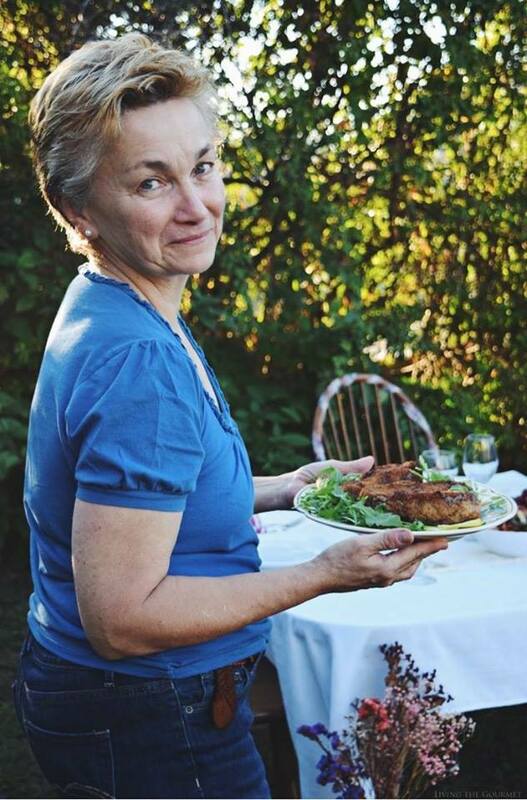 Or what are some of your favorite seasonal recipes? We would love to hear from you. This looks excellent! 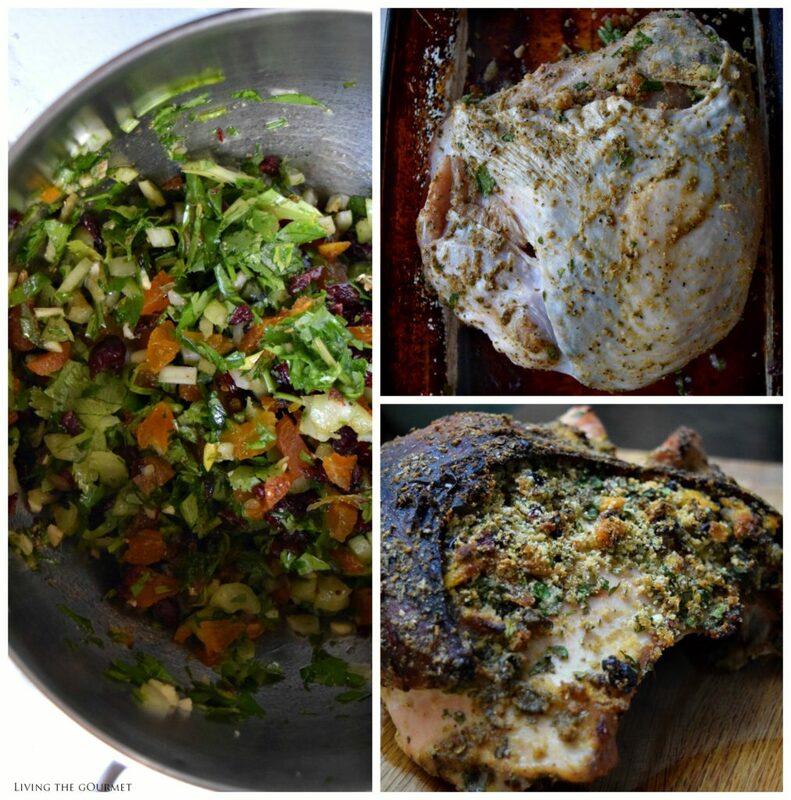 The turkey breast looks super tender and juicy and that filling looks super delicious too. This stuffed turkey looks amazing! 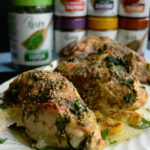 What a great alternative to a traditional roast Thanksgiving turkey! Catherine, I am hosting a friendsgiving this Friday and have a turkey breast ready to make--I think I am totally making this version! 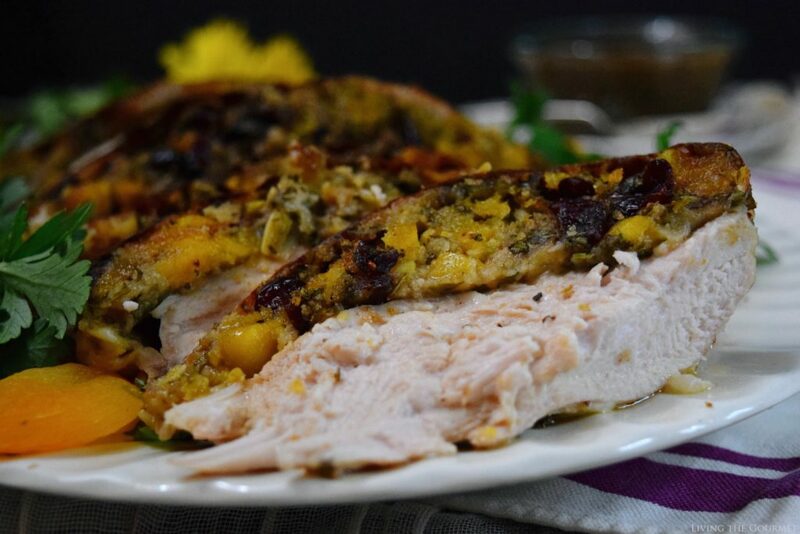 This stuffed turkey breast looks amazing! It's perfect for Thanksgiving! This looks SO good! Love all of the spices and the stuffing sounds divine. Perfect for the holiday season! 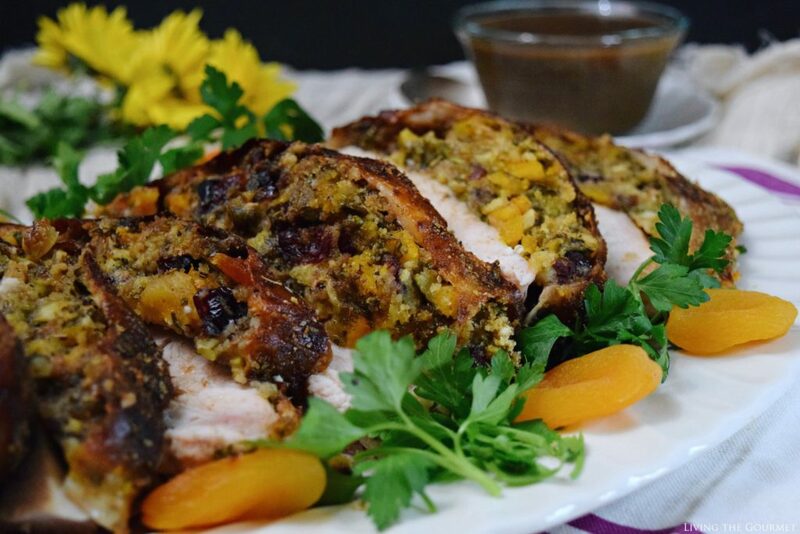 I love the mix of sweet dried fruits, tangy lemon, savory garlic.... Looks like a great stuffing! 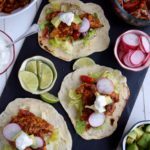 I'm so excited to use this recipe for my fam this year! A very interesting post !! We'll be in touch!!!! Wow! This is really an impressive looking turkey breast! I would love to try it. 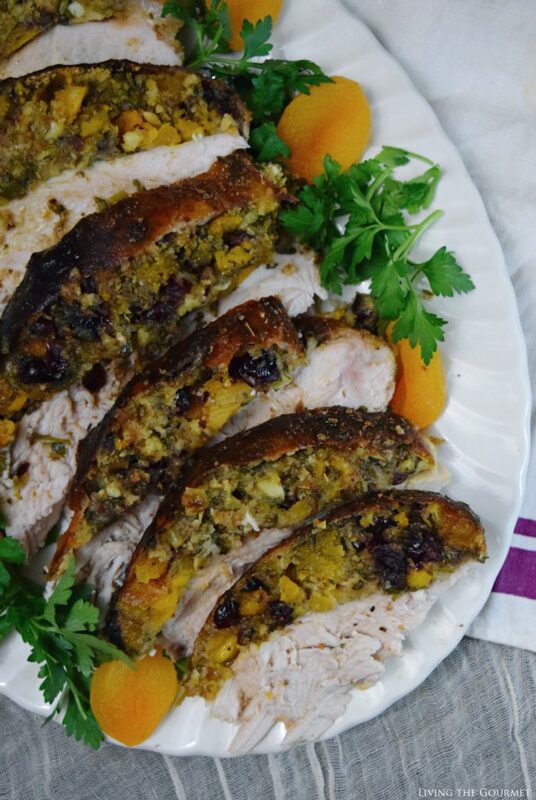 This Stuffed Turkey Breast looks so delish! 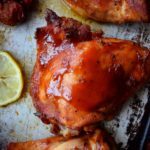 I am definitely going to be trying this recipe! I love this!! Although the Thanksgiving is over, it is never too late to cook a good dish for our darling, right? 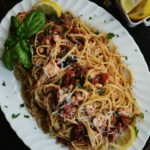 Especially coming up to Christmas when most of us have visitors, what a great chance to cook this dish for them!